These yummy roasted red peppers make a brilliant, quick children’s supper (or adult side dish) served with some rice, whole wheat/brown rice pasta or a baked potato. 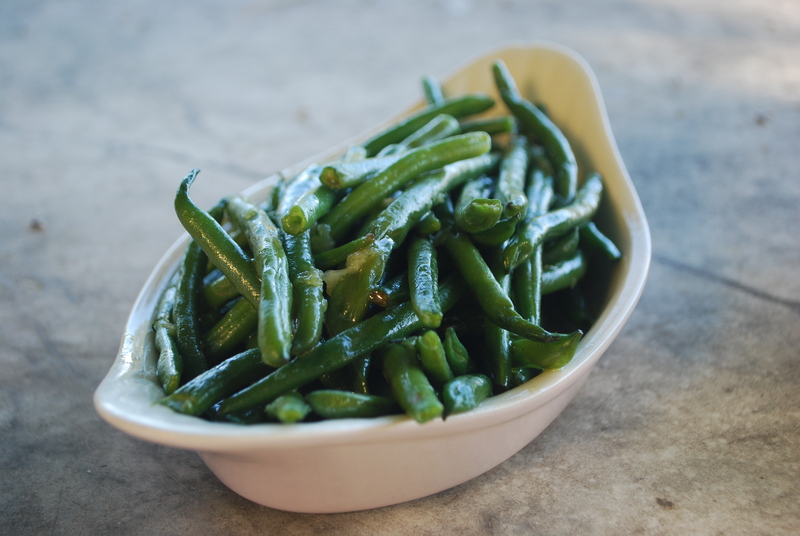 They are deliciously sweet and as a result are often a big hit with little ones. They also work cold for picnics and lunch boxes. Peppers are bursting with vitamin C which is a key nutrient for our immune system. 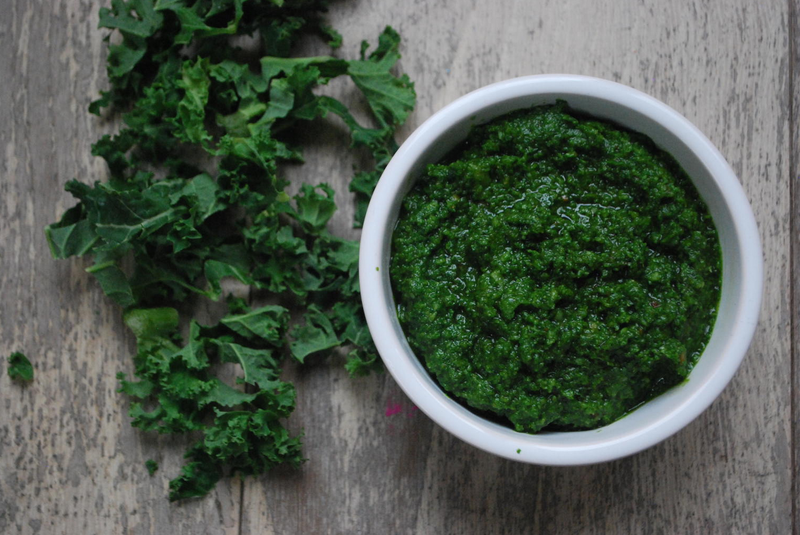 They also contain valuable antioxidants such as lutein for healthy eyes, and beta carotene which is converted to vitamin A in the body for immune and skin health. Goats cheese is also often better tolerated than cow’s milk. 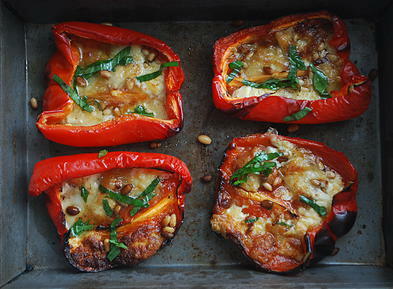 Simply cut your red peppers in half and place onto a roasting tray. 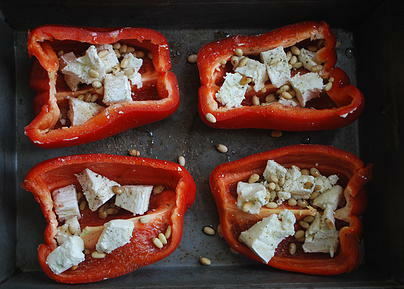 Divide up your goats cheese evenly into your red peppers and scatter on top your pine nuts. Place in the oven for 20-30 minutes, depending on their size. 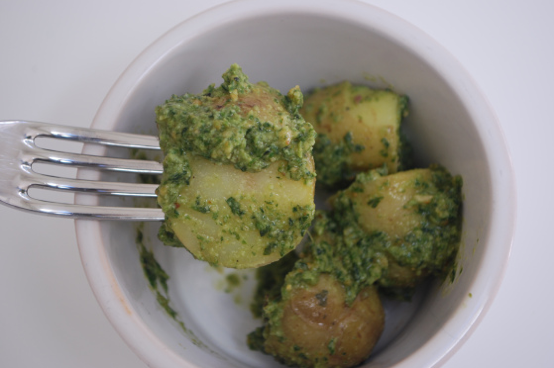 You want them to be completely softened and taking on a bit of colour around the edges. Take out of the oven. 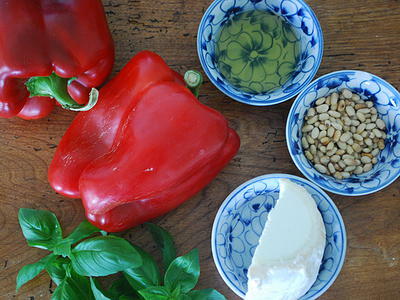 In a little bowl mix together your olive oil and chopped basil and drizzle over the top of your peppers before serving. Serve warm.